You've seen e-books for sale on the sites of other bloggers. Perhaps you've even told yourself that when you're a bit more established, a bit more of an expert, or magically come up with a bit more time, you'll launch an e-book too. Today's interview is all about taking action now and launching an e-book the right way to get real results. 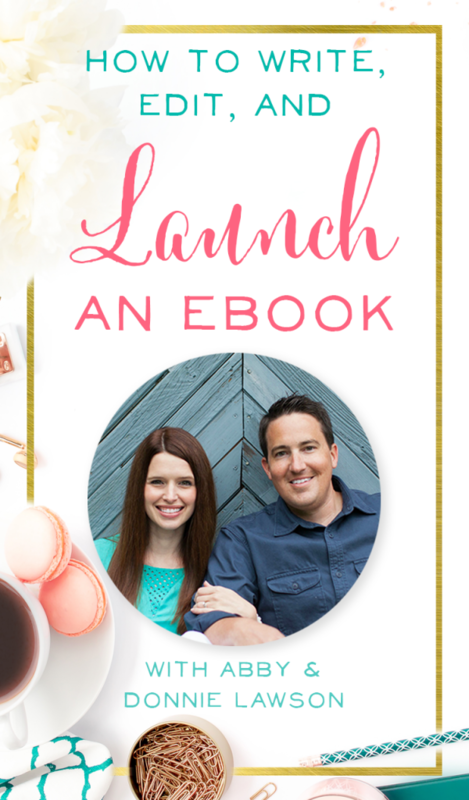 Learn from blogging couple Abby and Donnie Lawson about how to write, edit, and launch an e-book successfully. 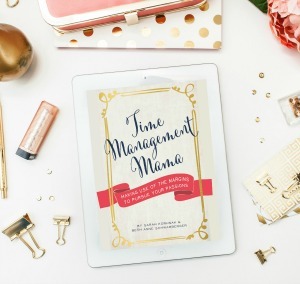 Abby wrote and launched her first e-book with just 17 months' of blogging experience under her belt. 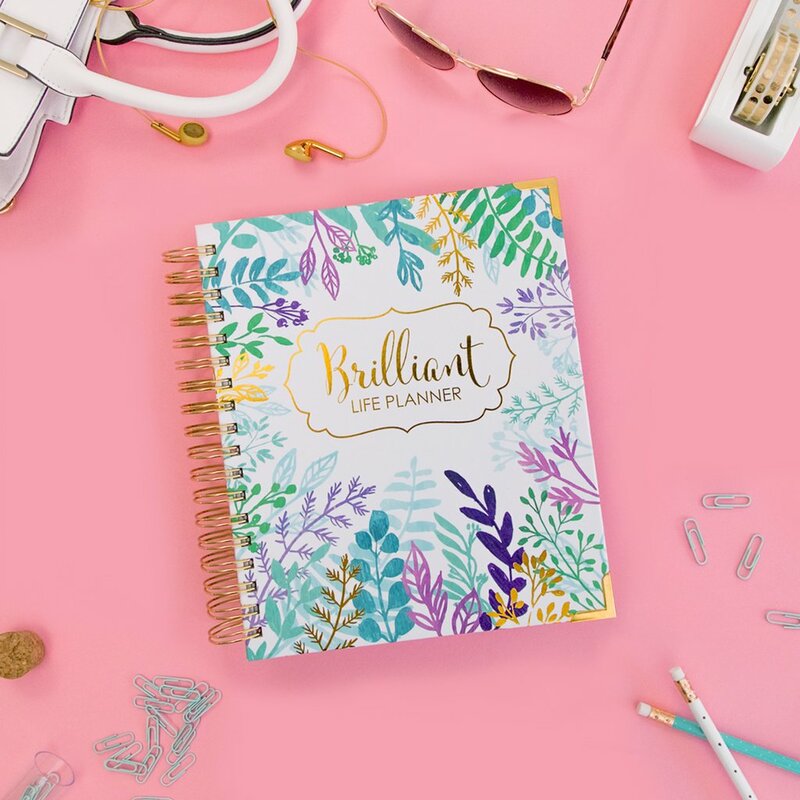 She carved out the time, wrote like crazy, solicited the help of blogging friends to edit, and launched with a bang by employing several great strategies. Learn from her experience, and then get to writing! An e-book could be the product that launches you from part-time blogging status to full-time blogging success. You got this, Brilliant Business Mom! Press Play on the Podcast Player below to hear Donnie and Abby's story. But as she thought it over, she realized “maybe there is something to this idea.” She and Donnie sat down, created an outline, and just went for it! Having read Abby's book, Building a Framework, Sarah and I knew that it was an extensive resource! It must have taken hundreds of hours to write! We had to know how Abby found the time to get it done. Abby already felt maxed out with her current blogging schedule, and since she didn't want to cut back, she had to create more time for writing. For several months, Abby woke up at 6 AM every morning, and from 6-7 AM she would write. If the boys woke up between that 6-7 AM window, Donnie would take care of them so that Abby's hour of writing was protected. A book doesn't magically happen on its own; you have to find a window for it. Abby wrote her book in a Google Doc so it was shareable and easy to send to people. Donnie was looked at the book throughout the whole process and he made suggestions along the way. After the book was written, Abby sent it to her mom first because she had no background in blogging. Abby wanted to get the perspective of someone who had zero knowledge on the topic to see if it made sense to them. Next, Abby sent the book to a friend who had only been blogging for a few months. She had a basic foundation of blogging but was still very much a beginner. Next, Abby reached out to her mastermind group on Facebook. There were 10 of them at the time. All of those bloggers read through the book for her and sent her notes. 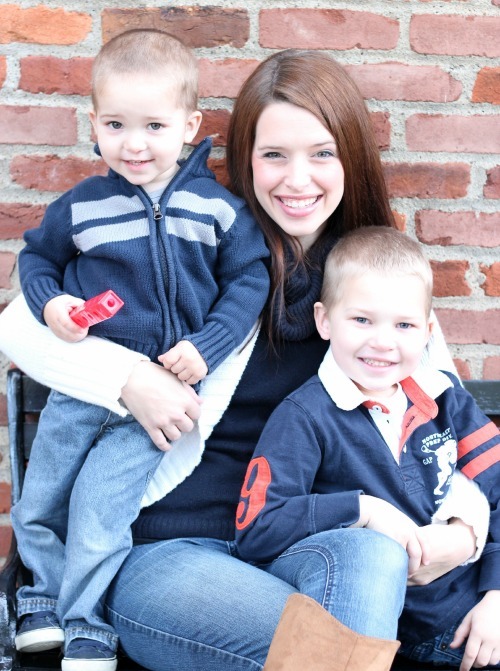 They were all in different phases of blogging from no knowledge to more experience than Abby. They all had different strengths, so some of them sent grammar corrections while others sent suggestions on the technical aspects of the book. It was nice to have the book in front of a lot of eyes to make sure it was really accurate and still easy to understand. To save herself from editing overwhelm, most of Abby's editors did not change the draft of her book directly or make comments within the book. They made their comments in an email and sent those to Abby. When Donnie and Abby did send the book to people for direct edits, they made a copy in Google Docs so that their original version was protected, and no one could touch that. If you write a book that links to many resources or other articles on the topic, you may wonder how to ensure that those links stay active forever. It would be a shame to link to great content, only to find out a year later that some of those links were broken. There's a solution to this problem, and it's easier than you might realize. Pretty Link also tracks how many clicks each link generates, so it helps them to know which links readers are clicking on within the book. Pretty link doesn't report on actual income generated through those links, but you can get that information from the affiliate portal. The plug-in does show the number of clicks, so you can figure out a conversion rate by observing that 100 people, for example, clicked on the Mailchimp link, and there were 5 sales from Mailchimp. The end result is a 5% conversion rate. Abby used iBooks Author, which is a program on Mac. Initially, she was really frustrated with the process and almost gave up and used Word instead! After two days of messing with it she was able to figure it out. iBooks Author has all of the formatting right there for you , so you just have to fill in the blanks for the titles, chapters, etc. The spacing is all there so you don't have to do that yourself. Abby just copied and pasted her chapters into iBooks Author, and then added in her photos afterwards. Adobe In-Design is a great choice if you're a graphic designer, but it's expensive and has a bigger learning curve. iBooks Author is a free option for Mac. Or you can create an e-book in Microsoft Word and then just save it as a PDF. “So if someone doesn't have a Mac, there's nothing wrong with spending a lot of time in Microsoft Word getting the formatting down.” Donnie says. Abby did use Microsoft Word for her second e-book, Simplify, because it's made up of many printables and it was easier to merge documents together She's been creating printables with Word for quite a while. So again, don't be afraid to just use Microsoft Word to get started with your e-book! After your e-book is done, you'll need a way to turn it into a readable, useable PDF. When you export your book as a PDF, the internal links between chapters aren't clickable. The workaround for this (for both Word and iBooks Author) is to download a trial of Adobe Acrobat pro. Before you exported your finished e-book, make all your links look like links (as in, add bold text, underlining, whatever you prefer) so that you'll know just where to go to insert those internal links. When you bring your e-book file into Acrobat, you can then set up links within the body of the PDF, so for your table of contents, all of those links to each chapter are clickable. Donnie and Abby with their boys. They make a great team! Building a Framework: Everything I Learned my First Year of Blogging launched on June 10, 2014. Week 1 Sales: 359 copies. Week 1 Average Book Price: Just over $10 per book. Since June Donnie and Abby have sold 1400 copies of the book, and they transitioned from pay-what-you-want pricing in October to a fixed price of $24. Donnie and Abby were concerned that once they set a higher, fixed price for the book, sales would completely tail off. Thankfully this hasn't been the case at all!They go weeks without mentioning the book on social media or the blog but sales continue to trickle in, so the book has become a great form of passive income for Abby and Donnie. Knowing that her audience comprised many stay-at-home moms or other families on a budget, Abby wanted to make sure that her book was accessible to anyone who wanted to read it. Donnie and Abby went back and forth about pricing strategies up until just two days before the launch. They decided to set the price at $24, but if anyone was in a situation where they couldn't afford that price, the payment processor was set up to accept any amount of $1 or above. They have gotten so many emails from people telling their stories, saying thank you, and sharing that they wished they could have paid the whole $24, but it was such a blessing to them to be able to get the information at a price that they could afford. Donnie first heard about pay-what-you-want pricing from a guy named Tom Morks who wrote about it on the Fizzle blog. He thought it was a neat concept, and at first, Abby thought he was crazy. There's some psychology behind the strategy, though, because most people think, “this is going to be a great deal!” and they pull out their credit card planning to just pay $1. As they're checking out, they decide that they don't feel right about paying just $1 for a great book, so they decide to pay $5 or $10 instead. Gumroad makes it really easy to use flexible pricing for your products, so Donnie and Abby used them for their payment processor. Although they did get quite a few sales at $1 each, there were people who paid more than the $24 too. It was Abby's 30th birthday on launch day so some people wrote in and said “I paid $30 because it was your 30th birthday!” Donnie said there were some odd amounts as well like $13.21 “Where they came up with that number I have no idea!” he says. They also had customers who came back to them and said, ” I paid $5 for it but then I read it and it was worth so much more to me. Can I give you more for the book?” Gumroad makes it easy for people to go back and pay more in the future. What if Everyone Paid Just $1.00? Donnie confessed that they were super nervous about launch day because of pay-what-you-want pricing. They knew there was a chance that everyone could come in and pay just $1 for the book. With several hundred sales, they would have made very little money for all of their hard work. They settled on a plan where Donnie would closely monitor the sales stats on launch day, and if the average price coming in was far too low, they would change their checkout system to fixed pricing. Fortunately, that didn't happen, and over the course of the summer, the average price paid increased over time! Read more about Pay-What-You-Want Pricing here. Donnie and Abby thought about their launch strategy and how to build suspense as soon as they decided to pursue the e-book idea. From Abby's very first hotel weekend of writing, she posted on Instagram that she was working on a secret project, and her audience would have to stay tuned to see what it was! She continued to build interest on social media by hinting at her big project. “The email list was the biggest part of launch. That's where really most of our sales came from,” says Abby. At the time they launched, they had about 6,000 people on their list. Those people were really excited and prepared because they sent them several emails letting them know what to expect. The night before the book launch, Donnie and Abby told Abby's list about pay-what-you-want pricing, how it would work, what time the book would be live, and where they could go to get it. In the morning when the book went live, everyone knew where to go, what to do, and had all of the information they needed to make a purchase. “Once you set your launch day, you need to work backwards with your launch plan,” says Donnie. Both he and Abby created a Google Doc specifically for their launch plan and worked backwards one month out. Donnie sees a big problem with many bloggers who try to sell: they don't build any buzz around the launch of their product. 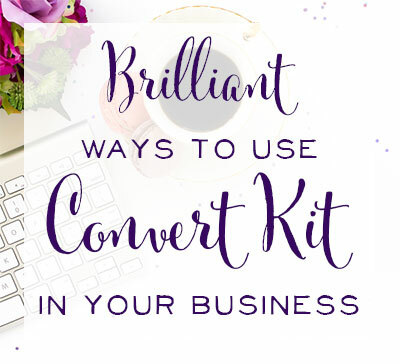 He's seen multiple bloggers – many that he likes and follows, who will all of a sudden send a surprise email one day saying, “hey I have this thing, buy it here” but this is the first time their readers are hearing about it. 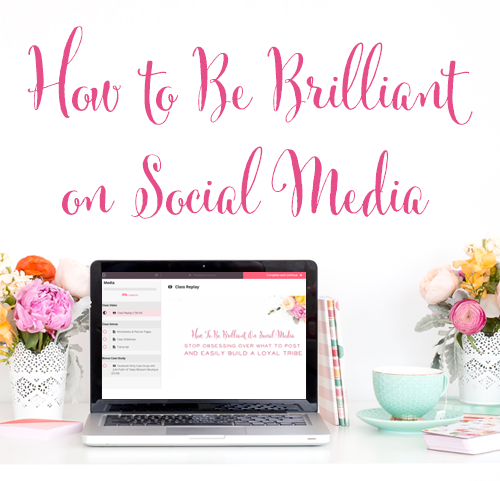 Abby used 3 main methods to extend the reach of her book beyond her own brand on social media, her email list, and blog. Guest posting & Book Reviews. Abby talked to several of her blogging friends who had been instrumental in giving feedback on the book about guest posting. She prepared content in advance and gave it to them. Abby had 6-7 guest posts go live on the day of the launch. Our podcast interview with Abby went up the day of the launch as well! She had 2-3 friends who wrote reviews of the book that also went up on launch day. Asking Blogging Buddies to Share on Social Media. Abby emailed 50 more blogging friends and said, “Framework is coming out today, I would love your help in promoting it. Here are some tweets you can send out, here are graphics you can use, and here are links to pins.” She tried to make it super easy for them to share about the book. She thanked them for the influence they've had on her throughout her time as a blogger and made sure they knew to reach out to her if they ever needed her help on anything. Saying Thank You to Influencers. Because it was a book about blogging, Abby mentioned a lot of bloggers that influenced her throughout the book. Abby emailed all of them a copy of the book and said, “thank you for the influence you've had on me as a blogger, and you're in the book!” She received a great response from those people as well. Many ended up helping to promote the book as well. She didn't ask them to promote it, but a lot of them did anyways just out of the kindness of their hearts. 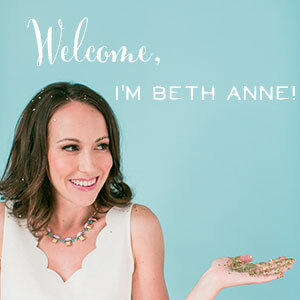 “My goal was that if you were anywhere near the home decor niche or creative blogging niche on June 10th, you knew that Building a Framework was launching that day.” Read more about the Anatomy of Abby's e-book launch here. Donnie and Abby thought long and hard about setting up an affiliate program for the book. They didn't set it up for the launch day since they had pay-what-you-want pricing. They knew that once they set up an affiliate program, they would fix the sale price for the book. Unfortunately, Gumroad doesn't offer an affiliate program. Some people choose to use a plug-in as a work-around, but Donnie wanted a better solution. E-junkie is another common affiliate solution, but Donnie didn't love how it looked. Finally, he and Abby settled SendOwl, which is a payment processor that also allows people to set up their own affiliate links. Initially, Donnie and Abby reached out to people who were close to them and had already been promoting the book for them. Abby sent an email to 30 people to invite them to sign up for the affiliate program. A little later, they emailed their entire list to see who would wanted to sign up after reading and enjoying the book. The downside to an affiliate program? The amount of sales that the affiliates drive, actually is a lot worse than Donnie and Abby initially thought. Donnie explained that an affiliate program is not absolutely necessary, and simply having an affiliate program in and of itself will not automatically double or triple someone's sales. Donnie and Abby were also worried about who was going to be promote their book once they opened up the affiliate program. They didn't want crazy spammers to get a hold of the book and make ridiculous Youtube videos. There have been some iffy people who have signed up for the program, but they haven't made any sales. Many people opt not to sign up for an affiliate program because it protects their brand more, and they have more control over how their book is promoted. The upside to an affiliate program! Even if the conversion isn't great and their sales didn't skyrocket, bringing people into the fold and building those relationships is an important piece of it as much if not more than the actual sales numbers. There also haven't been any technical issues with the SendOwl affiliate program. Donnie expected multiple affiliate payments to be a logistical nightmare each month, but SendOwl has made the process very easy. Sarah and I were curious about the numbers. How many affiliates do Donnie and Abby have, and what percentage of their total sales do they drive for the e-book? 102 people have signed up for their affiliate program. Only 20-25 of those affiliates have actually made a sale through the program. Sales from affiliates account for 10-15% of their total sales each month. A sale at Christmas for the book gave affiliates another reason to talk about the book, and during that time, they drove 20% of the total sales. When the VAT (Value-Added Tax) rules changed for digital goods sold to people living in the European Union, Donnie and Abby disabled all sales from EU countries. They didn't have the time to figure out how to send money to multiple tax offices in Europe. If someone from one of those countries wants to buy the book, they'll just give it to them because they feel bad about the ew system. In SendOwl they also disabled all sales to EU countries. You can check boxes to simply exclude those countries from being allowed to make a purchase. Recently, Gumroad has chosen to handle all the remitting of the VAT tax. They figure out where the customers are buying from, collect the tax, and send tax to that country. As soon as Gumroad did that, Donnie and Abby re-enabled sales from EU countries. However, SendOwl, which is the program Donnie and Abby use for their affiliate program, integrates with a couple of different payment processors such as Stripe or Paypal. Since Stripe and Paypal have not yet controlled VAT tax, Donnie and Abby have kept purchases from the EU disabled when purchasers come through SendOwl. Overall, the VAT rule changes haven't been a huge issue for Donnie and Abby. There aren't nearly as many people from Europe trying to buy the book compared to U.S. customers. Abby's blog runs on a Genesis framework and a Child Theme from Restored 316 Designs which they really like. (That's our affiliate link because we like them too!) There's an option on the right called a “landing page template”. It will take away the sidebar, the header, and other distracting items. It wasn't a perfect fit, as they still had some ads showing up, and the header was too large. Donnie googled to find the specific CSS scripts he needed to format the page the way they wanted it. He ‘s not a coder, but he's able to find what he needs and then copy and paste the code into the Style Sheets of Abby's blog theme. Donnie's CSS additions made the page more narrow, removed the ads, and added a Buy Now button. Once they had a clean page to work with, the landing page was as simple as adding the photos and text they wanted to create a compelling sales pitch. We were curious about the reasoning behind selling Abby's book solely on her own site versus in the Kindle store. Abby told us that since there were so many photos, screenshots, and very specific formatting for her how-to book, she didn't want to risk that formatting being lost on Kindle. She's a visual learner herself, and she wanted that to translate into her book. Donnie told us that even from a money-making standpoint they still would have chosen to sell the book themselves. E-books in the Kindle store tend to be priced fairly low. A $24 book doesn't make sense in the Kindle store, and they didn't want to offer a product at a higher price on Abby's blog versus in the Kindle store. However, if you plan to price your book at $10 or less, and formatting isn't an issue, Donnie recommends selling in the Kindle store as well as on your own site. Stay tuned to hear what Donnie and Abby's adorable 3 year-old is saying these days! Stay in Touch with Abby! 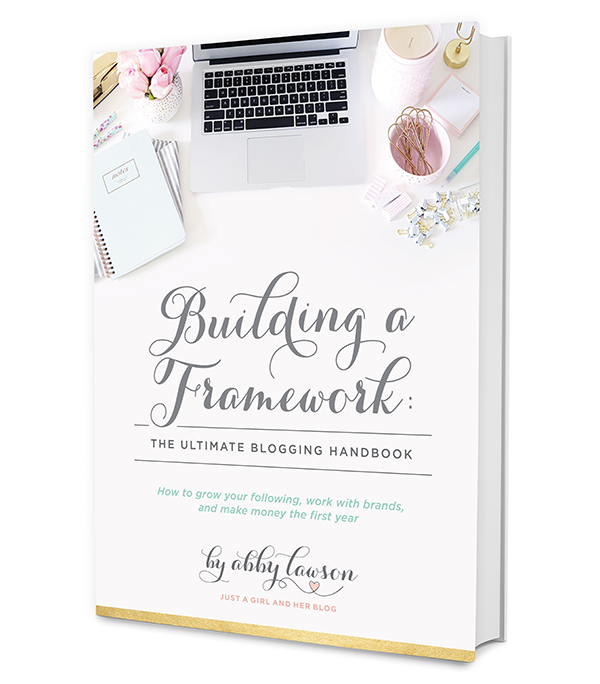 Abby's book, Building a Framework This is our affiliate link, because we highly recommend Abby's book for any mom who wants to grow her blog. We've read dozens of books on the topic, and Abby's is our favorite resource. 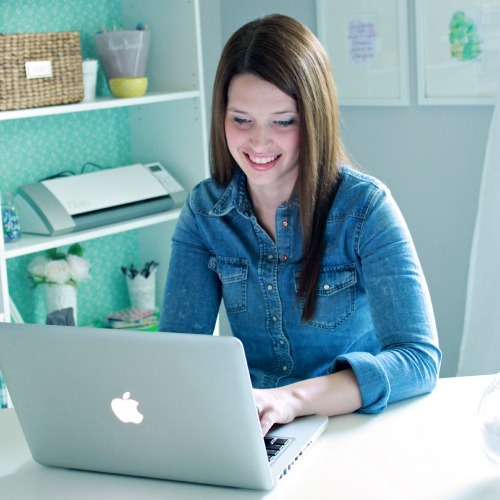 Be sure to check out Abby's full course Book Boss on how to write & launch a profitable ebook. 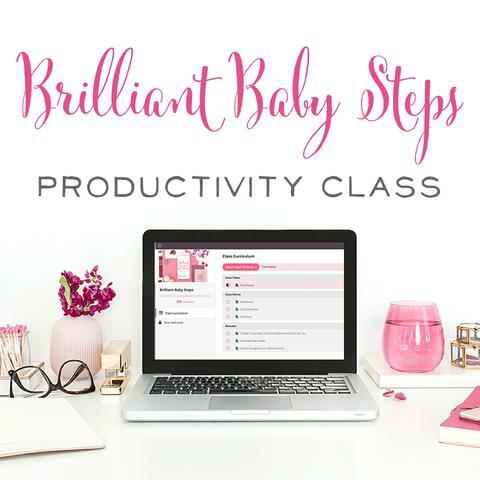 She'll walk you step-by-step through her proven, effective system to launch your eBook that you can learn quickly and easily in order to launch your product with confidence. 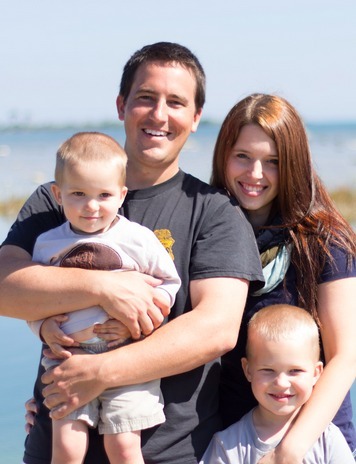 2,363 E-book Downloads in One Day + How we did it!